Gum disease affects over 60 million American adults in some way or another every year. 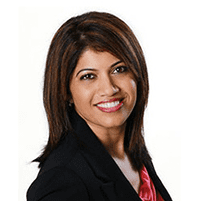 Kavitha Gowda, DDS, at Perfect Smiles Dentistry helps men and women living in or around Everett, Washington, develop healthy oral hygiene habits, and treat and cure gum disease should there be a breakout. To learn more about what you can do to prevent, manage, and eliminate the risks of gum disease, call or go online today to book an appointment. Gum disease, also known as periodontal disease, refers to a bacterial infection in the gum and tissue surrounding the teeth. In most cases, gum disease arises as a result of plaque and tartar buildup around your gum line. To avoid such buildup, Dr. Gowda recommends regular brushing and flossing. Gingivitis is a mild infection that exclusively affects the gums, and that causes swelling, puffing, tenderness, and more. In most cases, proper treatment can successfully eliminate gingivitis. The longer you wait to treat gingivitis, the higher your chances of developing periodontitis. In this case, the bacteria that caused the infection reaches deep into the tissue pockets where bone and other tissues support your teeth. You might experience tooth loss and other complications as a result. It’s crucial that you pay close attention as to whether you are experiencing any of these symptoms. If you are, you should get in touch with a team member at Perfect Smiles Dentistry immediately. Your provider at Perfect Smiles Dentistry works with you to develop an individualized periodontal treatment plan that might include surgical or nonsurgical therapies, but that, more importantly, uniquely fits your lifestyle. After evaluating your teeth and gums, Dr. Gowda might recommend professional cleanings and surgery to clean out pockets around the teeth. This is typically called periodontal pocket reduction or flap surgery and helps your gum tissue reattach to healthy bone. She will also work with you to help you develop healthy oral hygiene habits, like proper brushing and flossing techniques. Gum disease can not only be extremely painful but can also lead to other health complications. That’s why it’s essential that you schedule an appointment at Perfect Smiles Dentistry by phone or online to get examined by Dr. Gowda.